This article by Noah Rothbaum originally appeared in the Wall Street Journal, but I just found it today. It seems people are buying and grilling few Hot Dogs and turning to Sausage more and more. 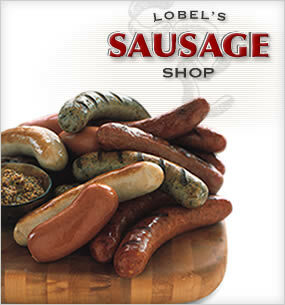 The author decided to test out a number of the top brands of gourmet sausages that are available for order. First, we learned a trick. Before the grilling started, the chef placed most of the sausages in a pan of warm (but not boiling) salted water for a couple of minutes, and then crisped them on the grill. The water bath helps kick off the cooking, reducing the time on the grill. The longer it's on the flame, the higher the risk that the casing will burst -- and if that happens, the expert said, "you lose all the juiciness."